Since I got home from NCTE Saturday night, I’ve been devouring books. This happens to me when I’ve just finished a big project (I turned in the final revision for SUGAR ON SNOW after an afternoon of work in a Philly coffee shop!) – I have a sudden need to go on a reading binge before I move on to something else, so that’s what I’ve been doing. I’ve finished Cynthia Omololu’s fast-paced, compelling YA debut, DIRTY LITTLE SECRETS, which comes out from Walker in February. Then it was Bonnie Shimko’s upcoming MG novel, THE PRIVATE THOUGHTS OF AMELIA E. RYE, which releases from FSG this spring and has a main character with one of the greatest voices of all time. Really. And finally, Elizabeth Partridge’s MARCHING FOR FREEDOM, an amazing narrative nonfiction account of the children and young people involved in the Civil Rights march from Selma to Montgomery in 1965. All of these books are wonderful in wildly different ways, and I’ll be blogging about them all soon in more detail. For now, I’m just thankful to have read them. 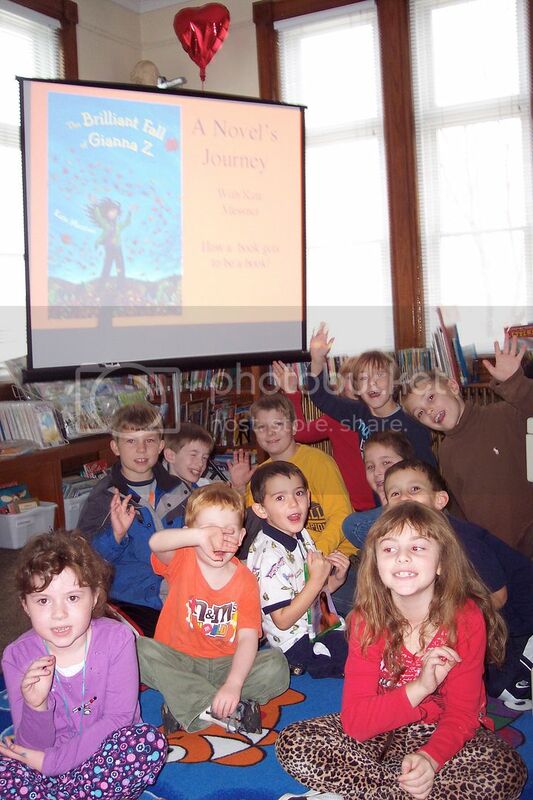 …who joined me for an author presentation at Dodge Memorial Library in Rouses Point, NY on their day off today. One boy, who was already waiting on the carpet when I arrived to set up my projector, looked up and asked, "So you write books?" I nodded and handed him copies of my two regional historical novels as well as THE BRILLIANT FALL OF GIANNA Z. He started flipping through one of the books, and his eyes got huge. "You wrote ALL THIS?" Sometimes as authors, published or unpublished, we forget what an accomplishment that really is. Yep…it’s my main character from THE BRILLIANT FALL OF GIANNA Z. See the resemblance? 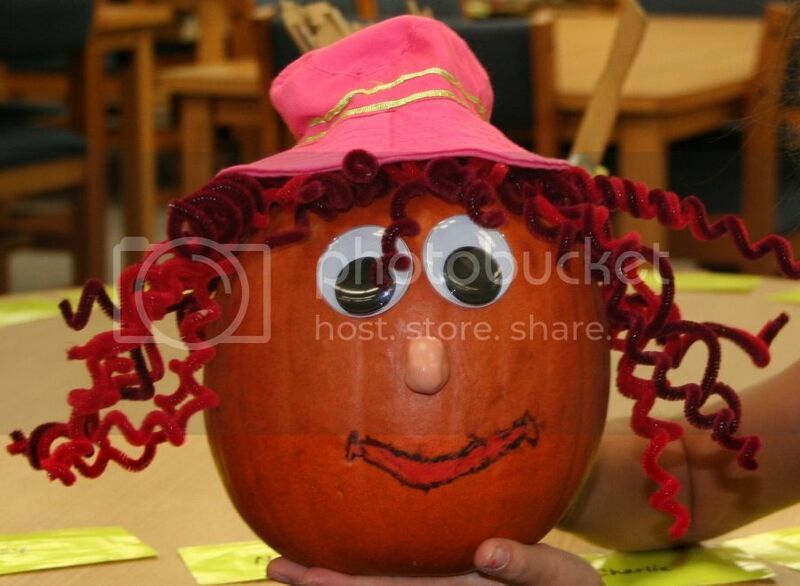 I love the way this reader/pumpkin artist captured Gianna’s crazy red curls and her creative spirit, and mostly, I’m honored that she connected with the character enough to turn her into a pumpkin. Moments like this, so wonderfully quirky and unexpected, have been the very best part of this book journey. Much to be thankful for, indeed. I hope your Thanksgiving is full of wonderful people, good food, and great books!